The nearest MyCity bus stop is a 5 minute walk away. Less than 1 km from Big Bay. 30 km from Cape Town International airport. 22 km from Victoria and Alfred Waterfront. Various shopping centres in vicinity. Netcare Blaauwberg hospital 5.5 km. 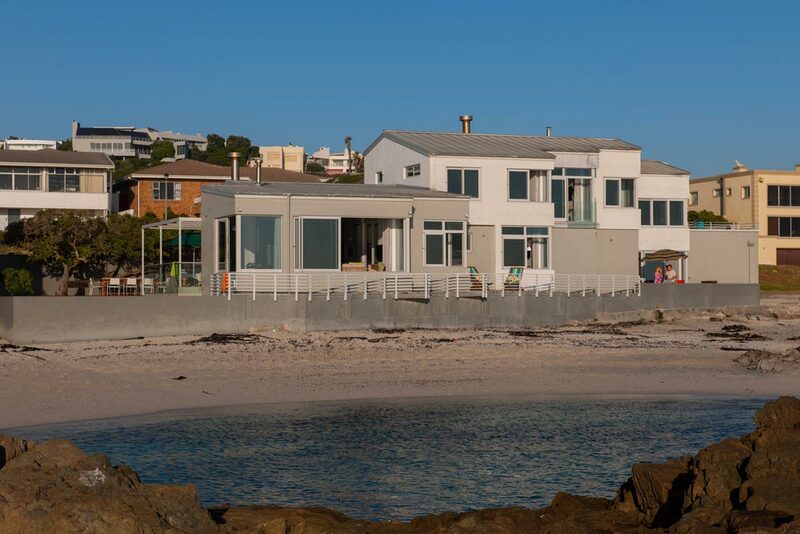 The coast of Blouberg offers long, sandy beaches frequented by dog walkers, surfers and kite-surfers. 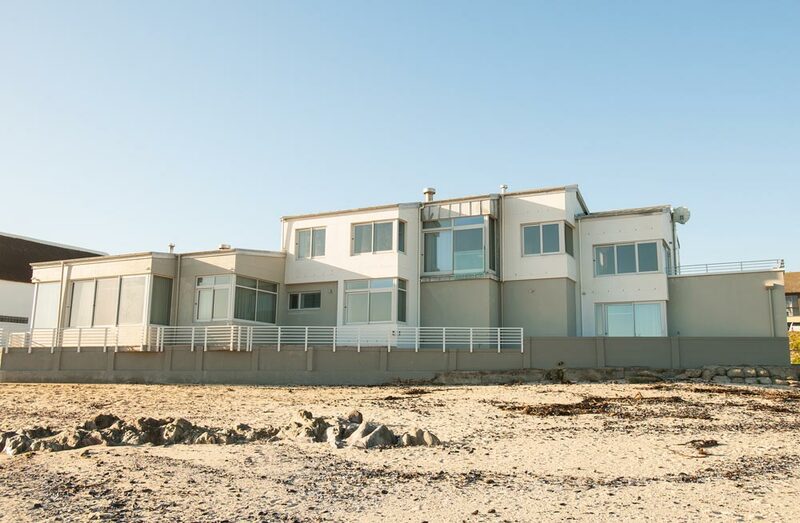 The large crashing waves, supported by the regular strong southeaster winds of the Western Cape, makes Blouberg one of the fastest and hottest places worldwide for kite- and windsurfing. Wave jumpers and colourful kite surfers can be seen dotted against the azure of the sea. Fishing, sailing and boating trips are other popular activities which can be undertaken from Cape Town harbour. Robben Island, where Nelson Mandela was imprisoned, can be seen quite clearly from the beach at Blouberg. 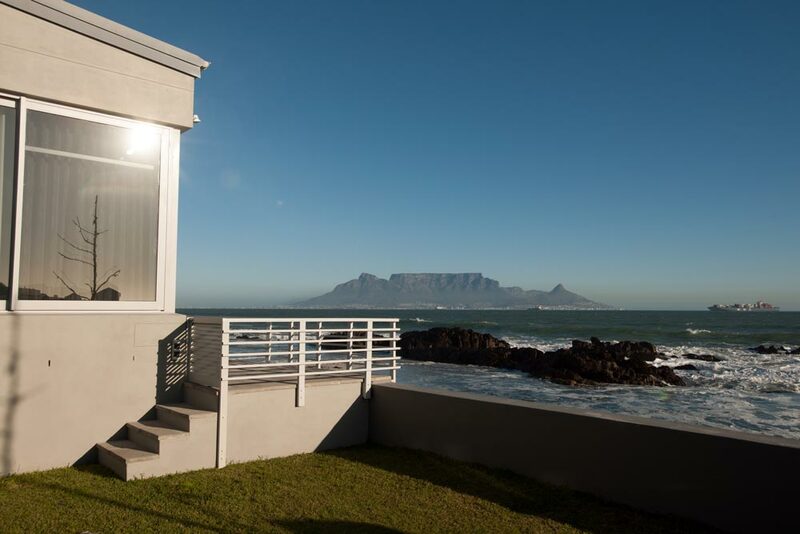 The world famous photographs of Table Mountain across Table Bay are taken from the Blouberg beaches. 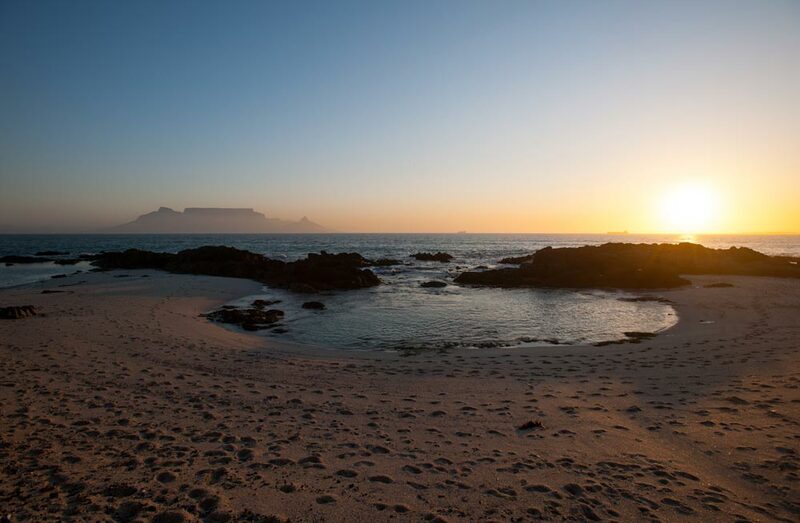 At sunset photographers assemble in front of Bokkombaai to take their own photographs of this famous view. 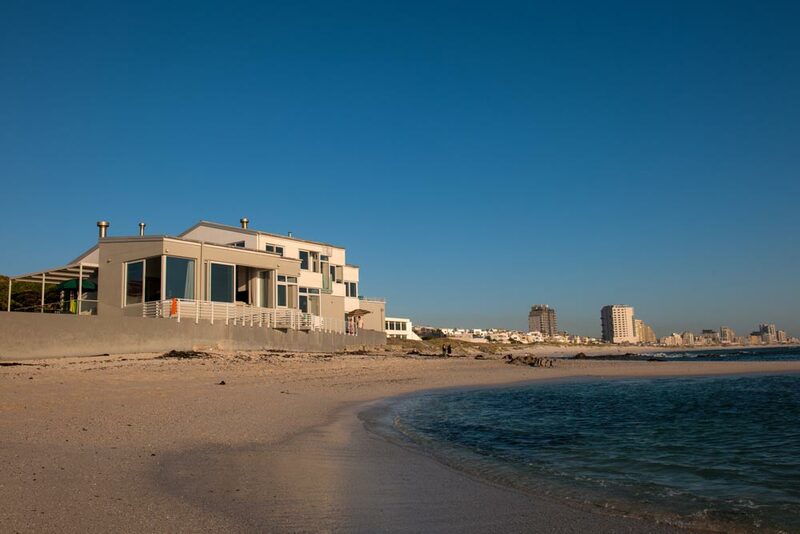 Although the water is cold, the Bokkombaai and Klein Bokkombaai bays directly in front of the units offer lovely safe swimming for adults and children. Hours can be spent studying the sea life in the numerous pools amongst the rocks. The promenade is very popular amongst joggers and walkers. For those who are fond of cycling, there is a cycling path from Blouberg to the centre of the City of Cape Town, as well as in the Melkbos direction. There is also beautiful gravel roads along which you can cycle in the Koeberg Nature Reserve. If you are lucky you can observe Burchell’s Zebra, Eland, Springbok and other animals and numerous birds while you cycle. At certain times of the year whales, dolphins and seals can be observed from the beach. 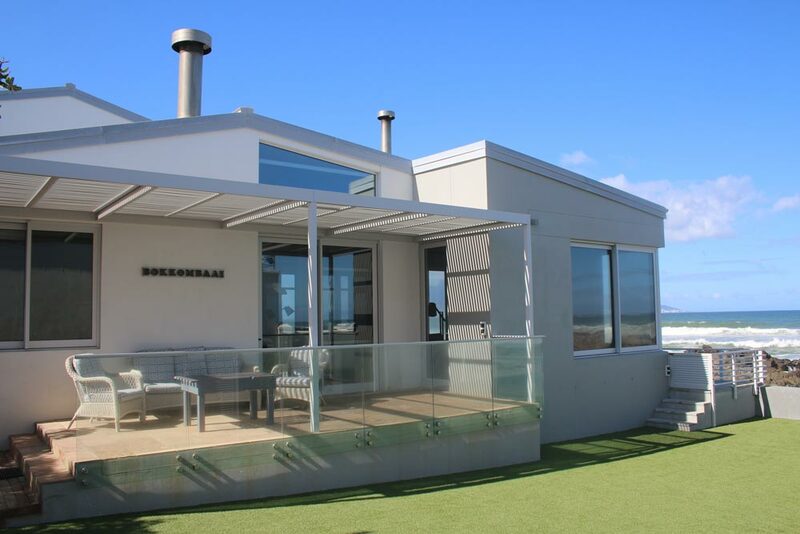 You will find excellent golf courses in the Blouberg area, especially at Atlantic Beach and in Milnerton.